Cleanses effectively and enhances volume. Himalaya Herbals Protein Shampoo Volume & Bounce is a unique formulation for flat or greasy hair that cleanses effectively and adds body, volume and bounce to your hair. 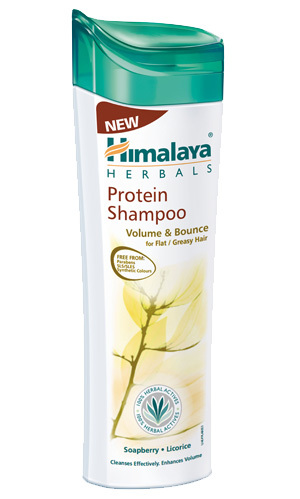 Massage Himalaya Herbals Protein Shampoo Volume & Bounce gently into wet hair and scalp. Rinse thoroughly. Repeat if necessary.